Is a Concussion a Form of Traumatic Brain Injury? Concussions are a common form of injury that impact 1000s of Americans each year. Any blow to the head can be serious and become deadly, even if there’s no apparent bruising or broken skin. What exactly is a concussion, and how can it affect the brain and long-term health of a victim? Here’s what you need to know about concussive injuries, and how to get legal help if you have been hurt. 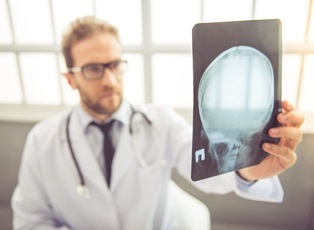 A concussion is not just a blow to the head; it is a form of traumatic brain injury that is often seen in professional and school sports, slip and fall accidents (especially in nursing homes), car or motorcycle accidents, and child daycare injuries. A concussion may be caused by a direct hit to the head, such as when someone slips and strikes his or her head against the floor when falling, or slams against the dashboard in a car crash. The sudden impact can cause the brain to shift inside the head and strike against the boney underside of the skull. There may not be any evidence on the outside of the head that there was an impact, and the victim may not lose consciousness immediately or even at all. Some concussions happen even when the head has not been struck. When the head is subjected to a rapid acceleration or sudden stop, the force involved can cause the head to whip back and forth. In this situation, the way that the brain is suspended inside the skull can cause it to slam against the inside of the skull, causing injury. When the force is great enough, both the front and back of the brain may strike the skull. This is called a coup-contrecoup injury, which can worsen symptoms and prolong healing time. These are not all of the symptoms of a concussion, and some or all of the symptoms may even be delayed, so it is important whenever there’s a suspected head injury to see a doctor as soon as possible. Many symptoms mimic those of other types of TBI that are deadly if left untreated, such as bleeding on the brain or uncontrolled swelling. Diffuse axonal injuries and neurochemical cascades are also hallmarks of concussion. After a TBI, follow your doctor’s recommendations on when it is safe to engage in physical activity again. A second blow to the head while still healing from an initial concussion may lead to what’s known as “second impact syndrome,” which causes rapid, uncontrollable swelling of the brain. Second injury syndrome can lead to permanent disability or death. If you or someone you love has suffered a concussion or other traumatic brain injury, the negligent person or parties should be held responsible. To speak to an experienced attorney who focuses on securing justice for the victims of traumatic brain injuries, contact my office today. We are based in Columbia, and proudly serve the Lexington, Florence, and Myrtle Beach areas, as well as the entire state of South Carolina and beyond. Reach out to us by phone, send an email, or just click the live chat box on this page to begin receiving help now.